Having another pair of eyes is often useful . . . The first thing that caught my eye as I arrived in Yunfu, Guangdong, was the incredible number of places selling various types of stone. 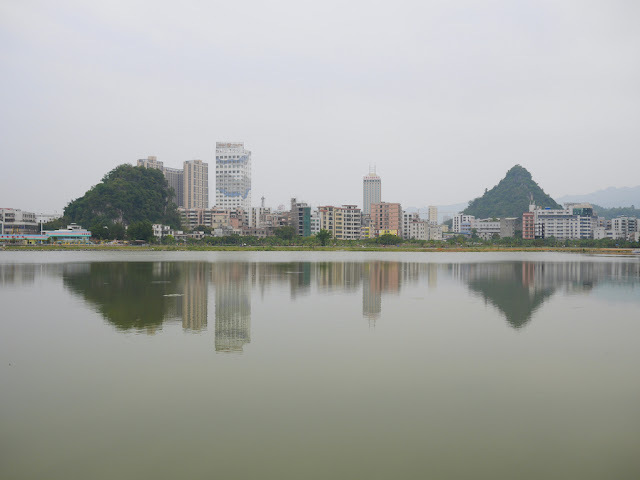 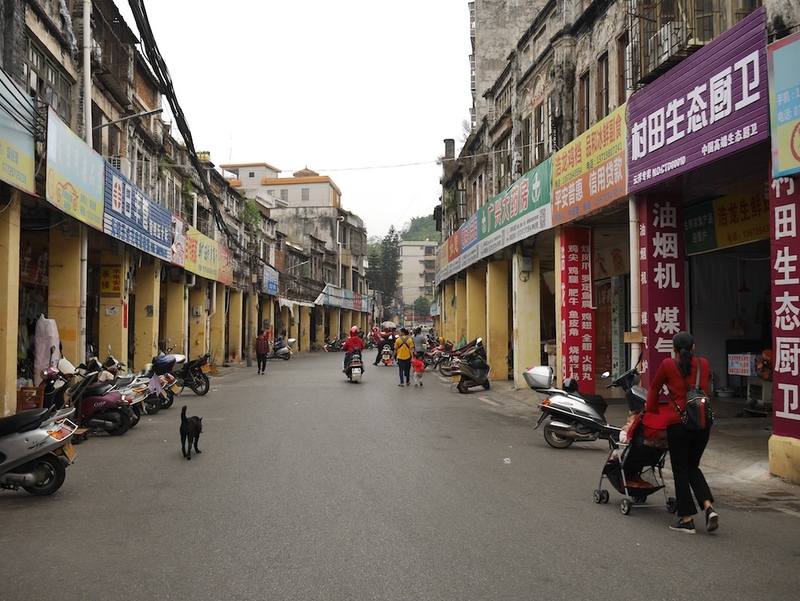 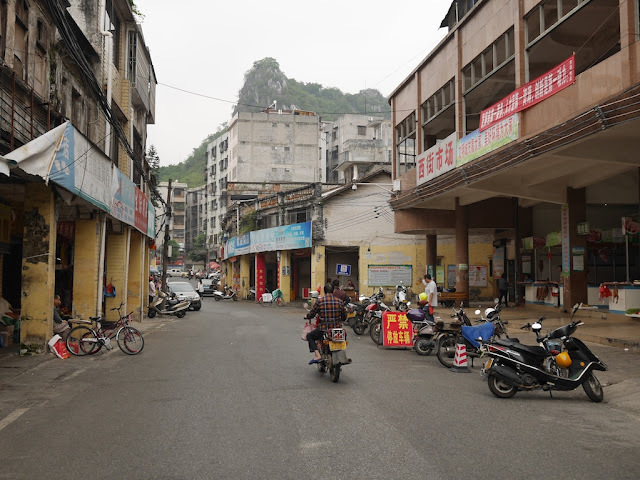 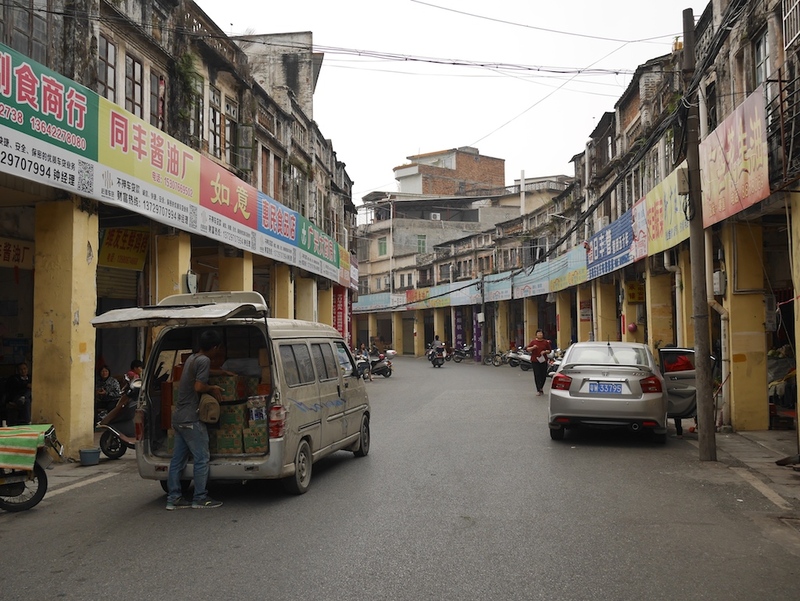 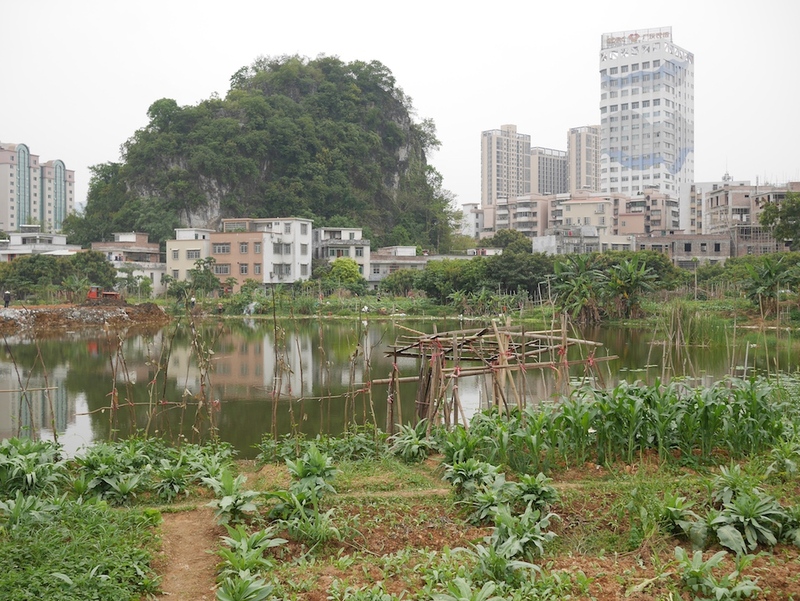 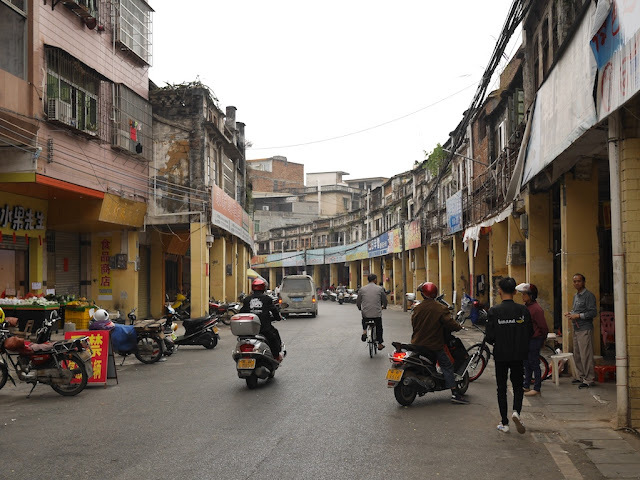 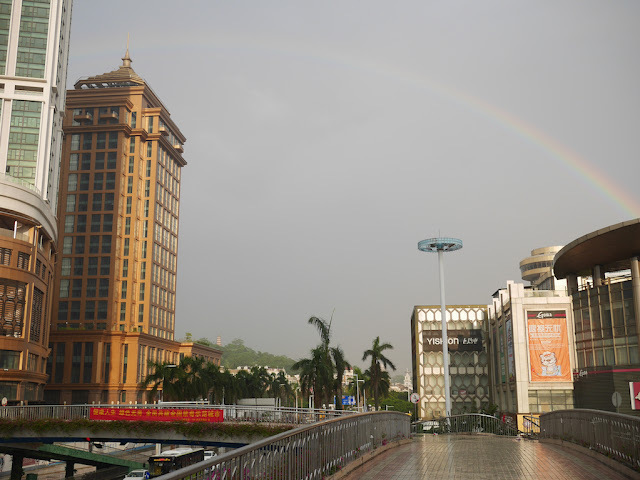 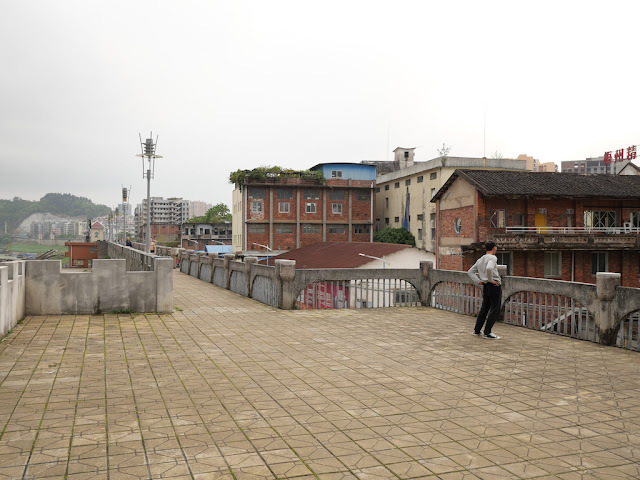 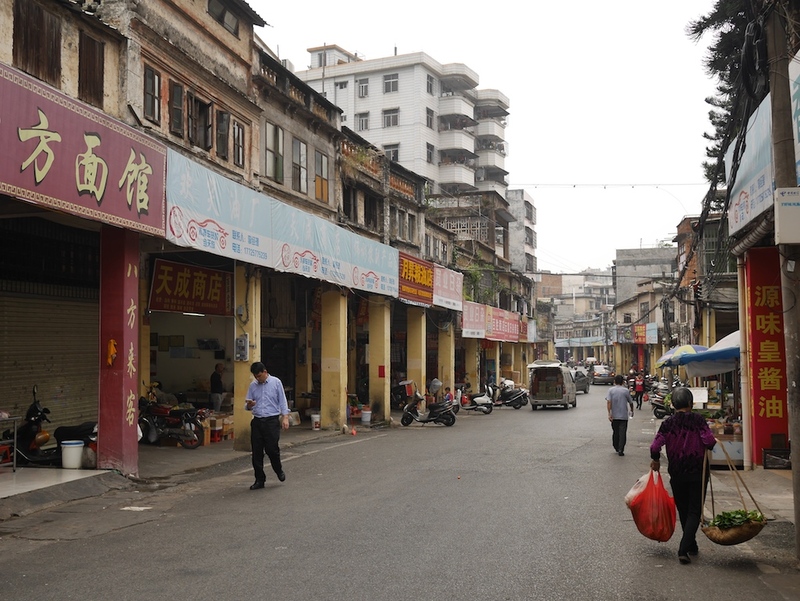 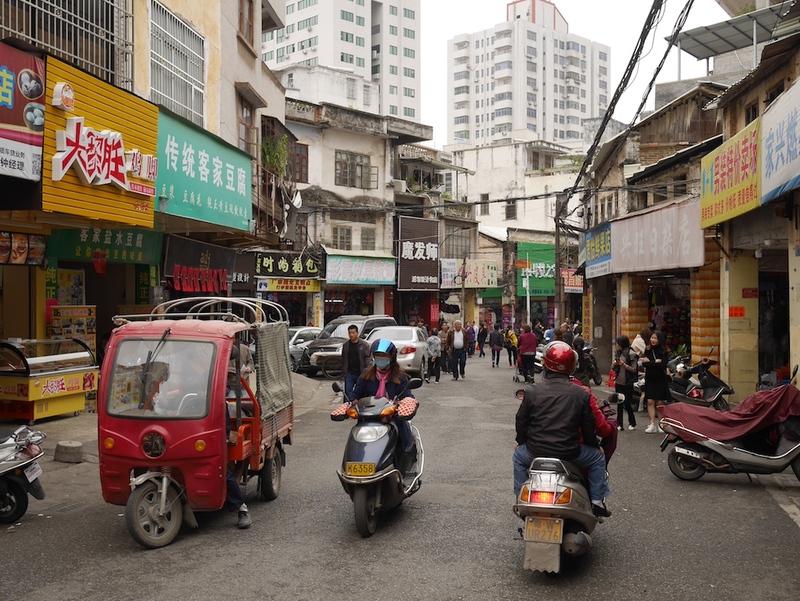 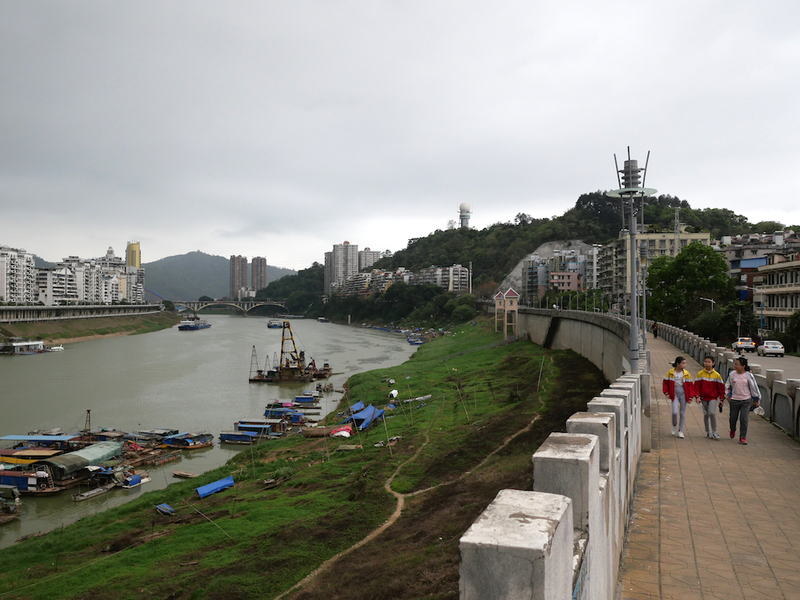 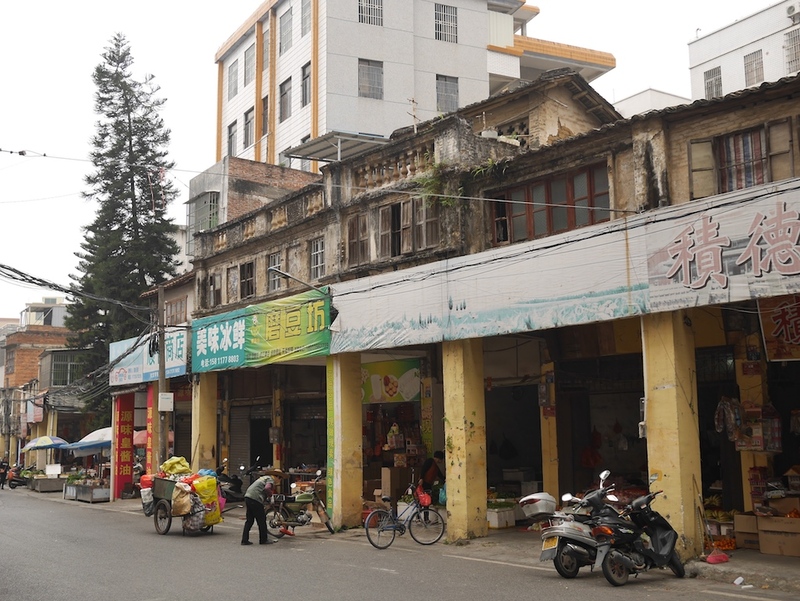 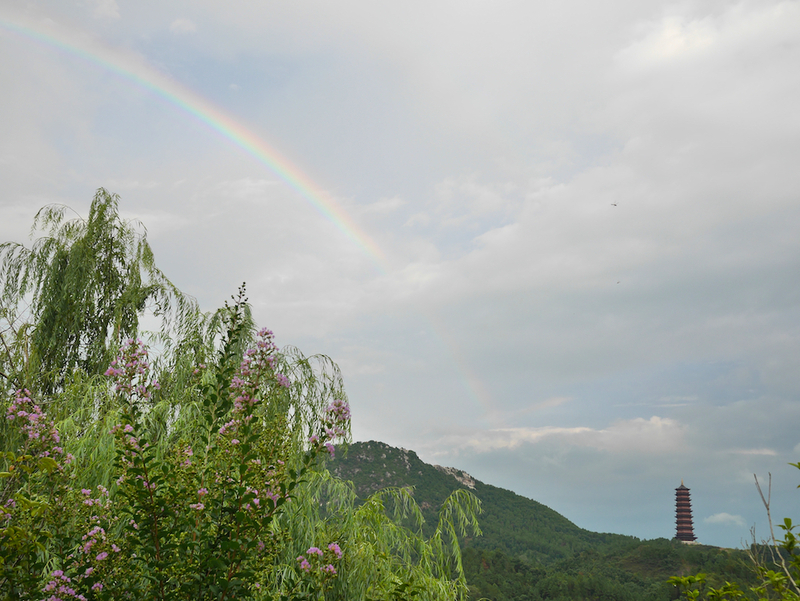 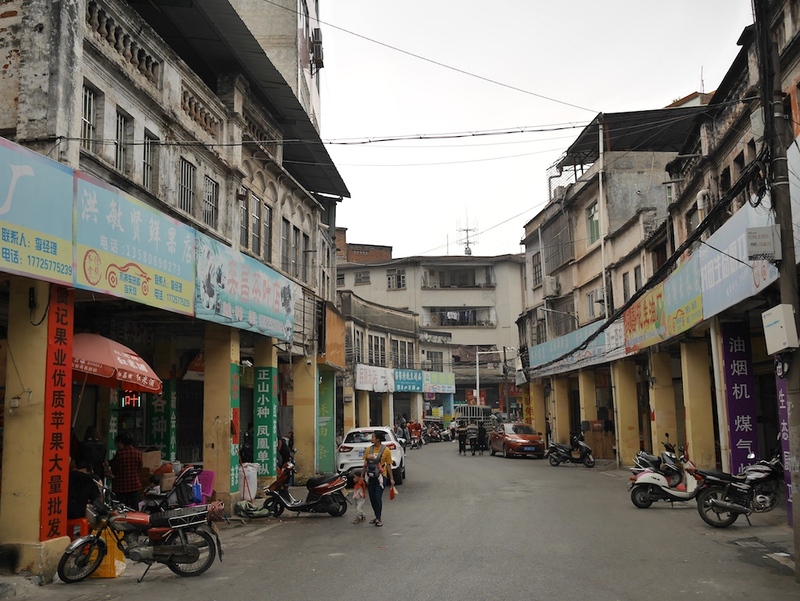 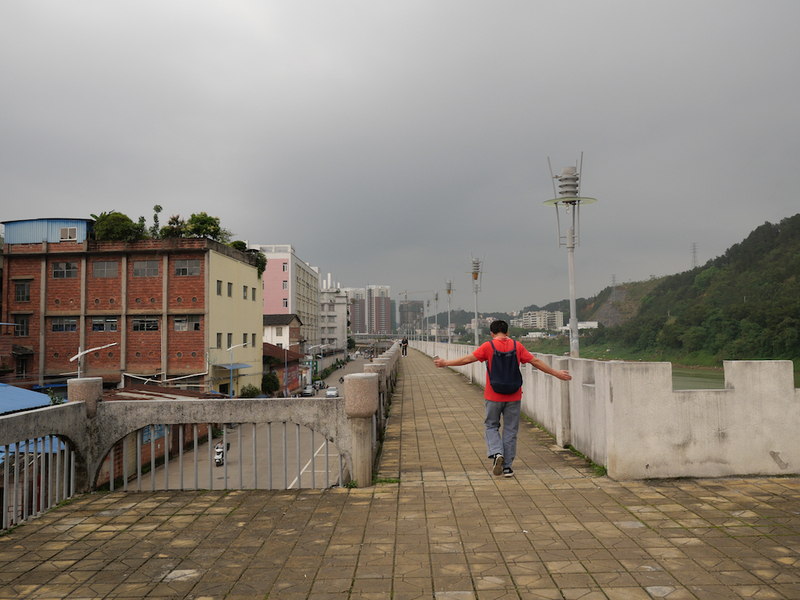 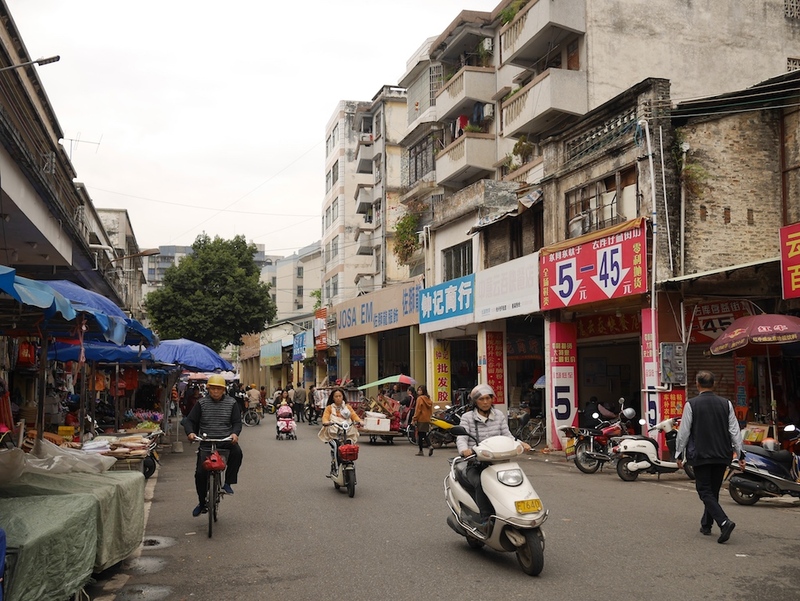 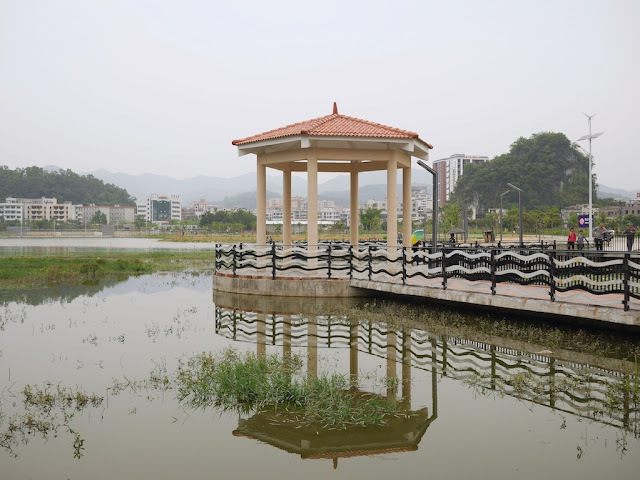 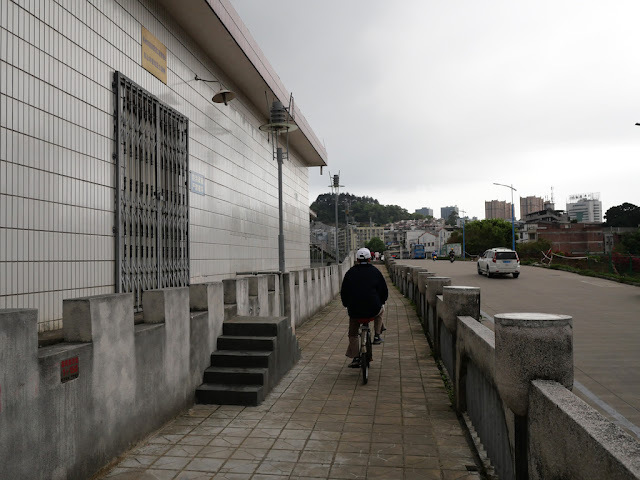 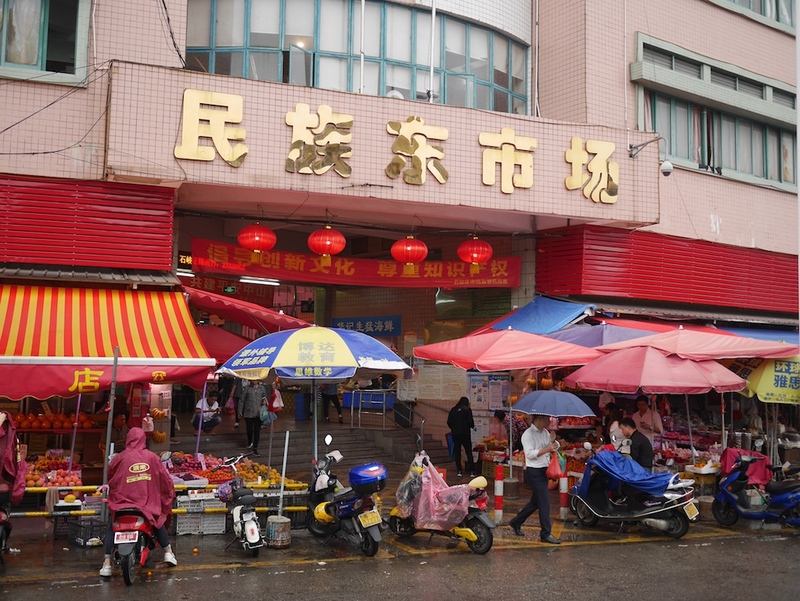 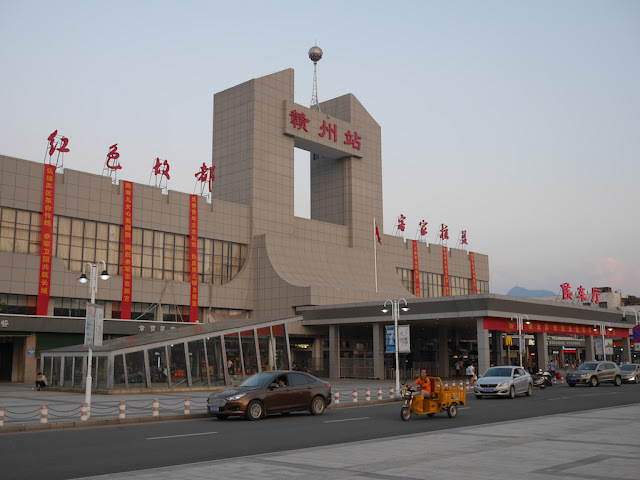 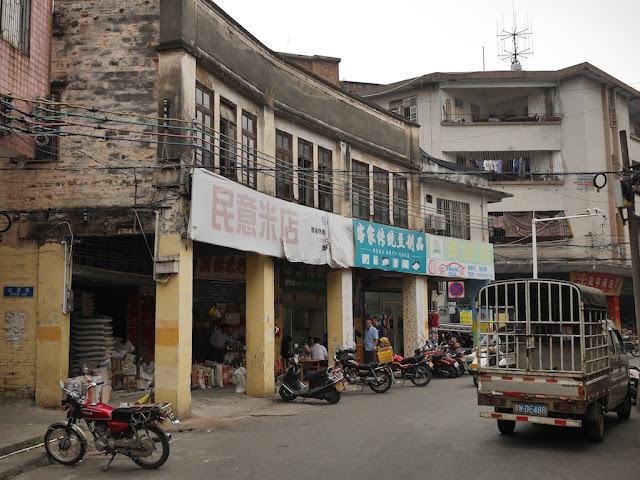 The second thing was the karst topography in the midst of Yunfu's central urban area. Soon I was photographing some it from my hotel room window. 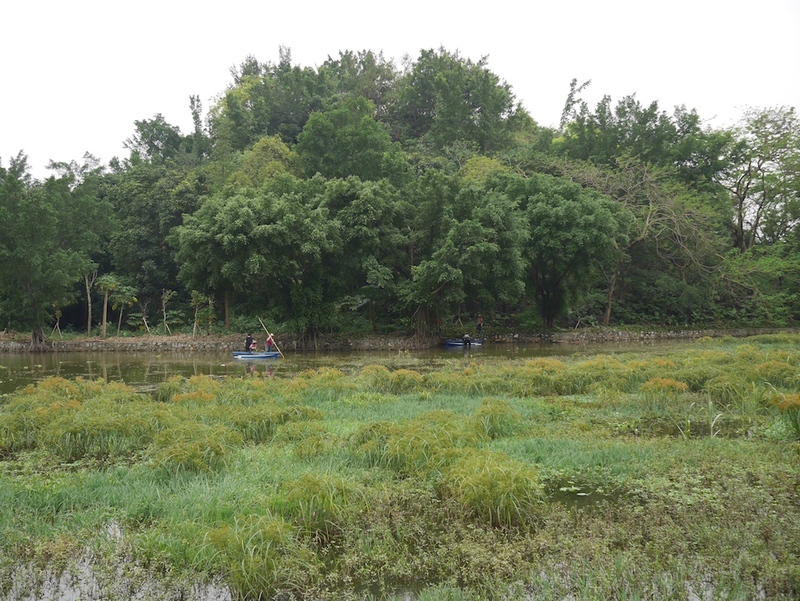 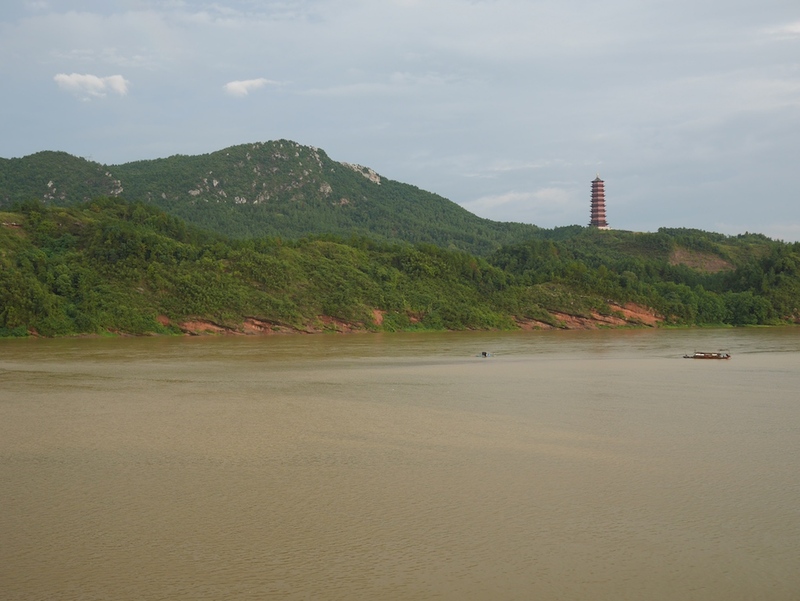 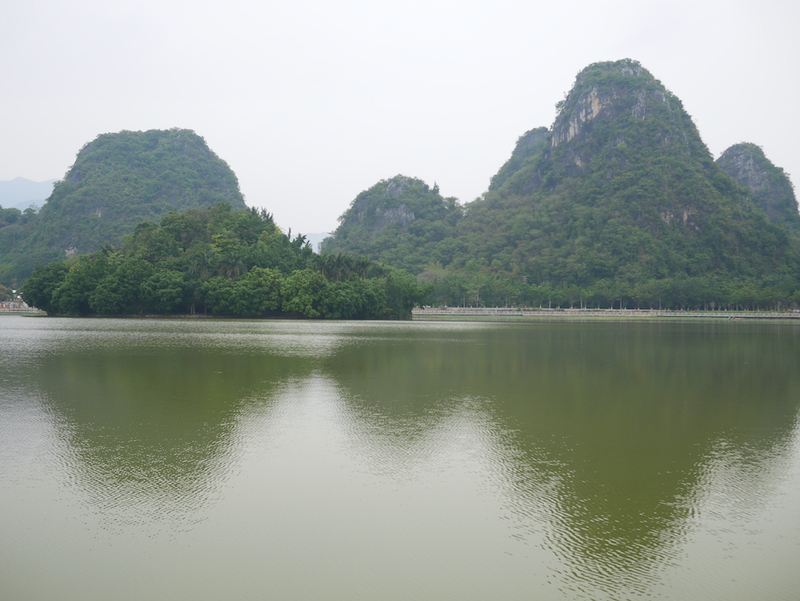 But the Panlong Lake Scenic Area which I had just passed is a more popular place to take in the karst views. 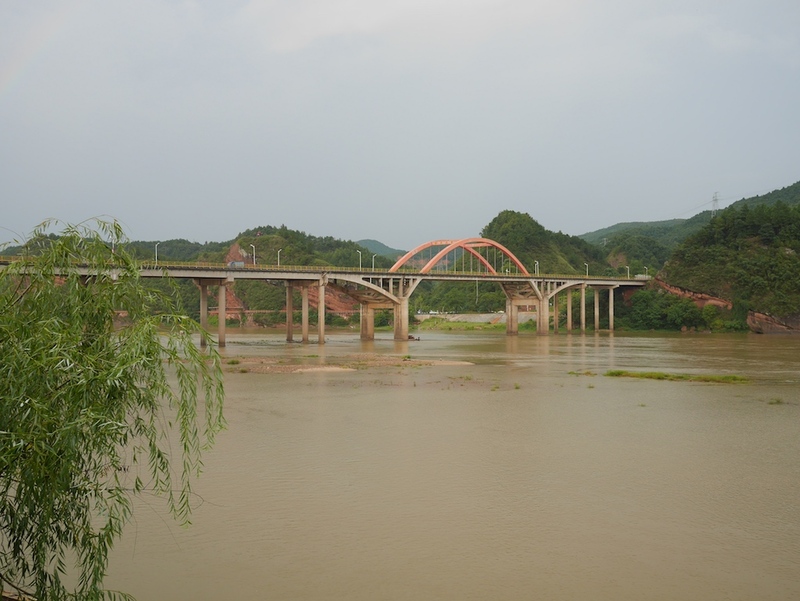 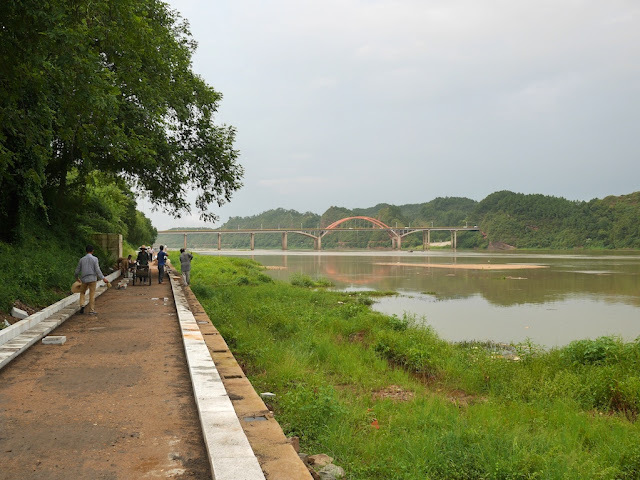 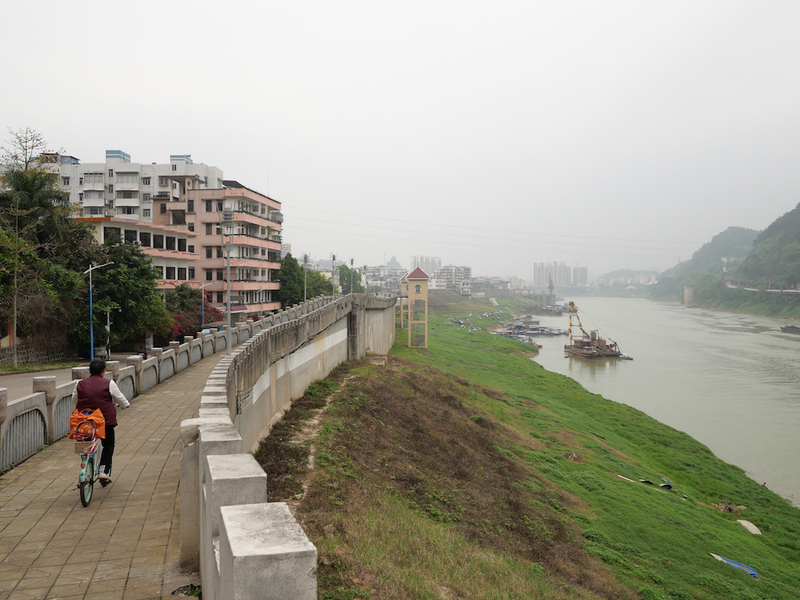 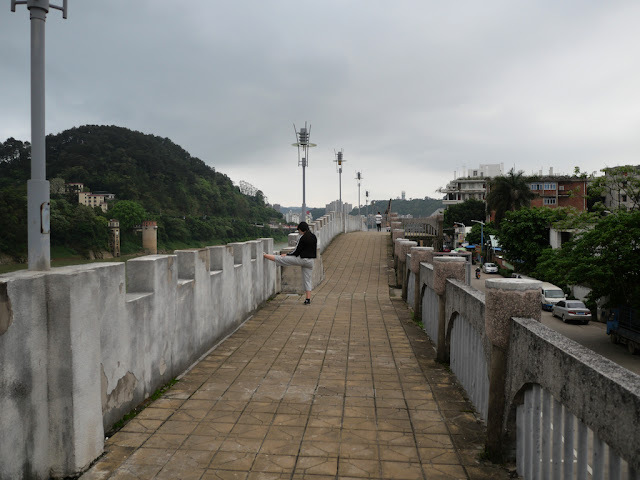 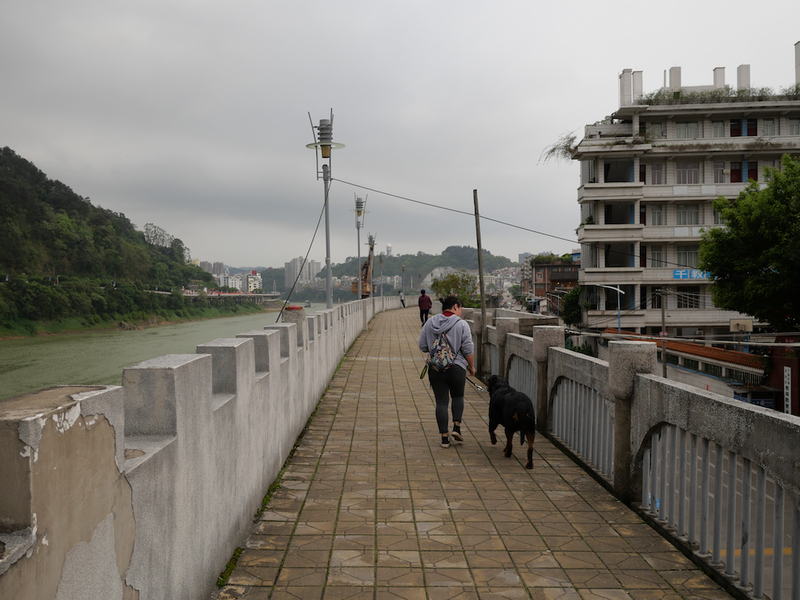 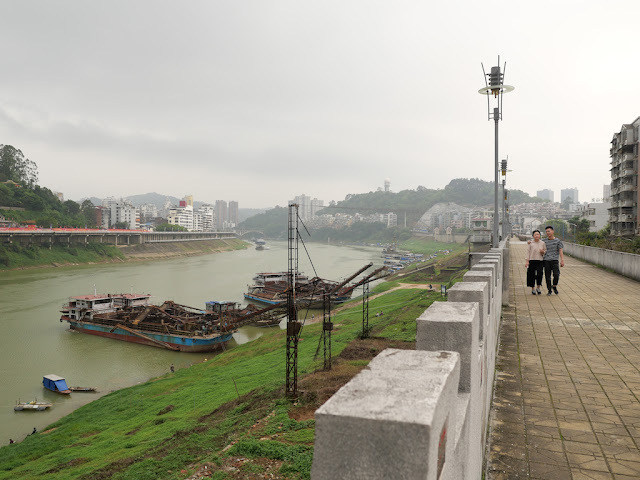 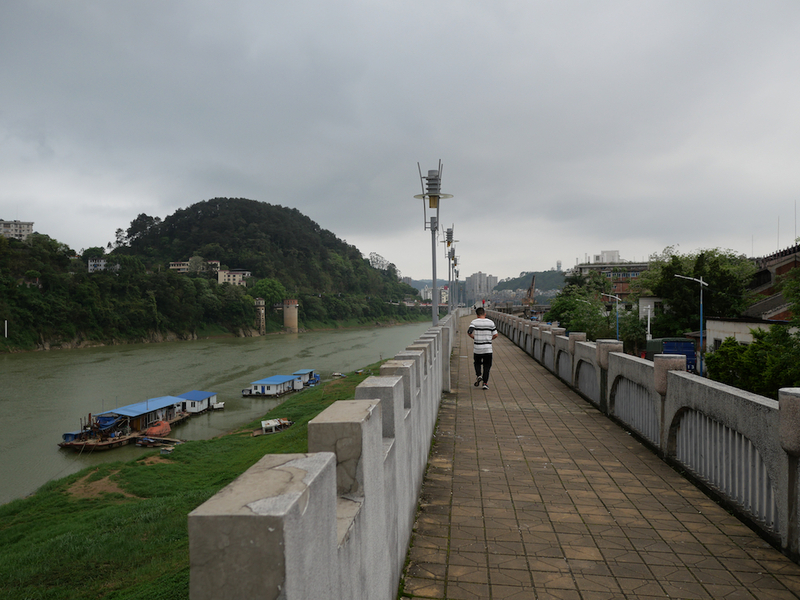 It isn't as famous as similar sites in Guilin or neighboring Zhaoqing, but it has its own charms. 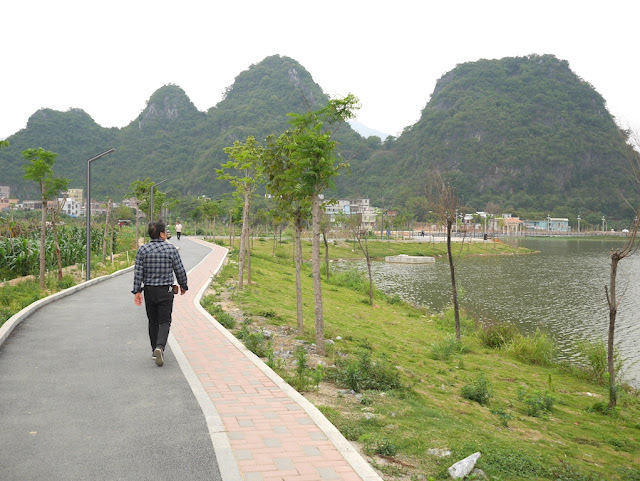 And you can walk around the lake and hills for free. I had planned to mention this scenic area earlier, but I ended up going down a rabbit hole trying to figure out what to call it English — more about that in a later post. 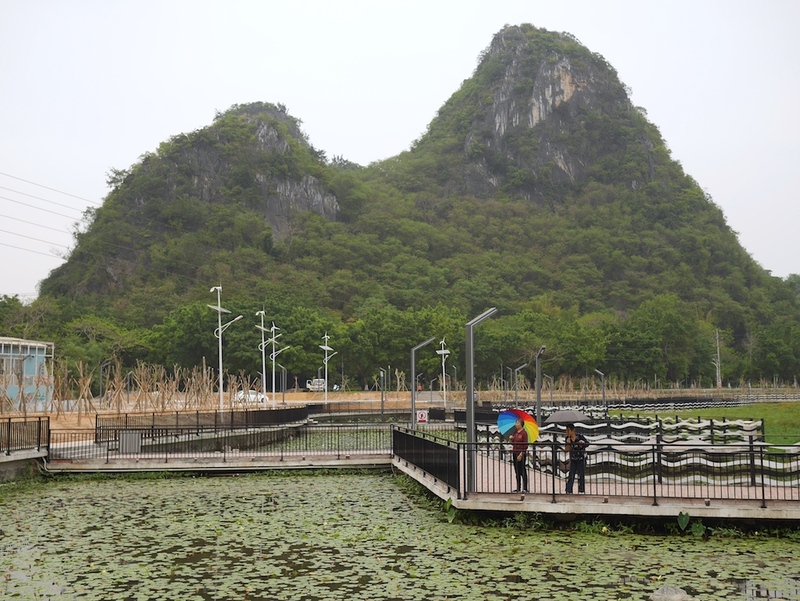 The lake takes it name from Panlong Cave, which is in one of the hills surrounding the lake. More about the cave in another later post. 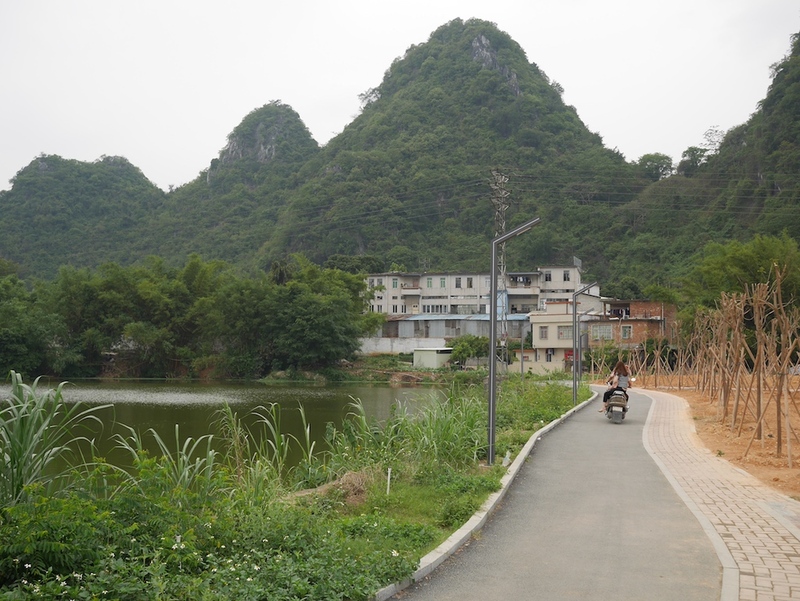 A guide at the cave said it isn't possible to walk up any of the hills. But there is an accessible hill top not far away. 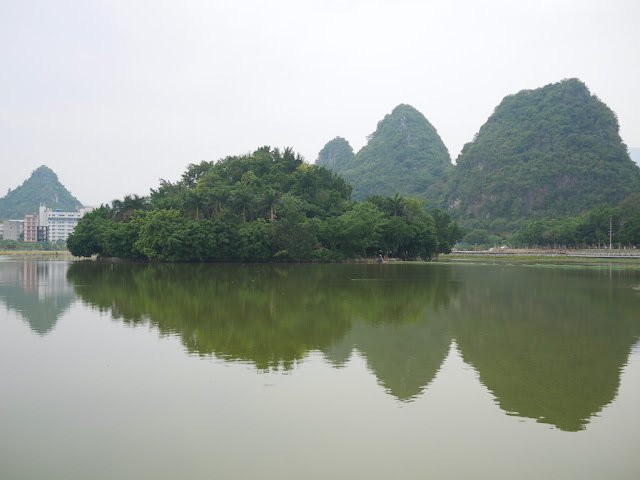 More about that crag in yet another later post. 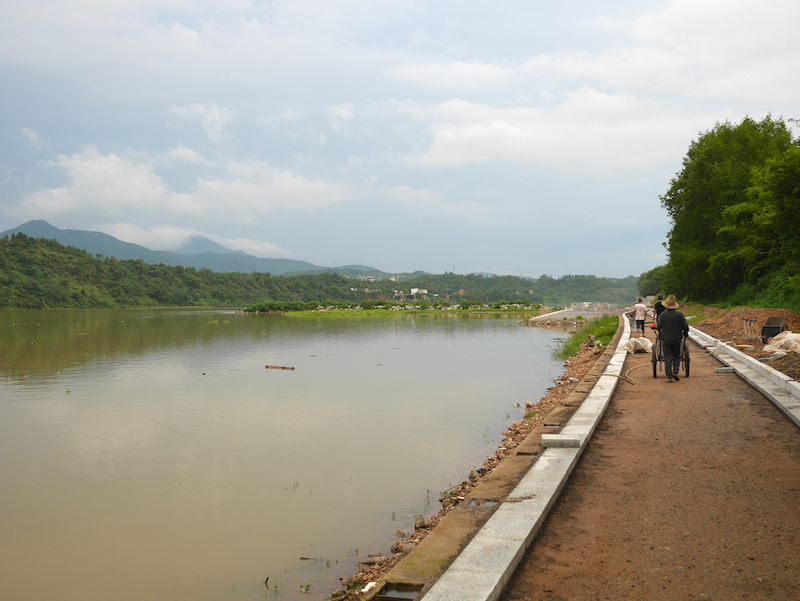 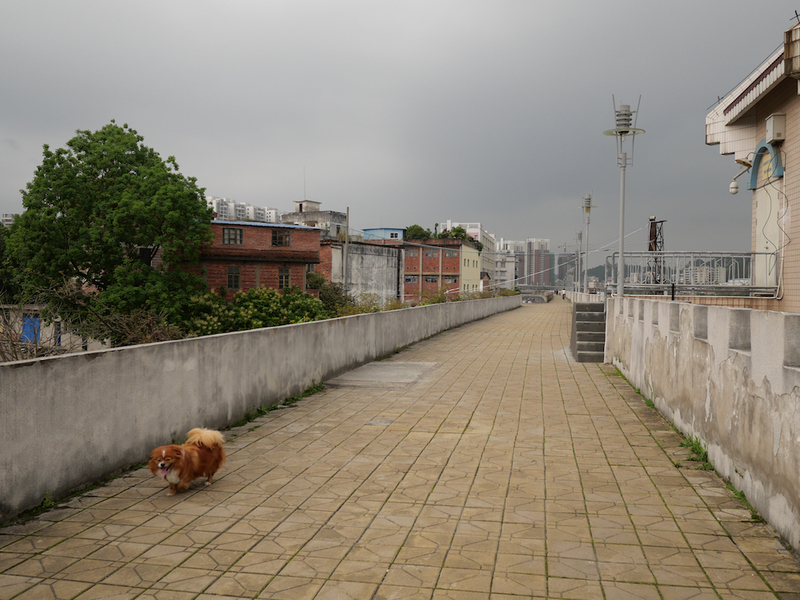 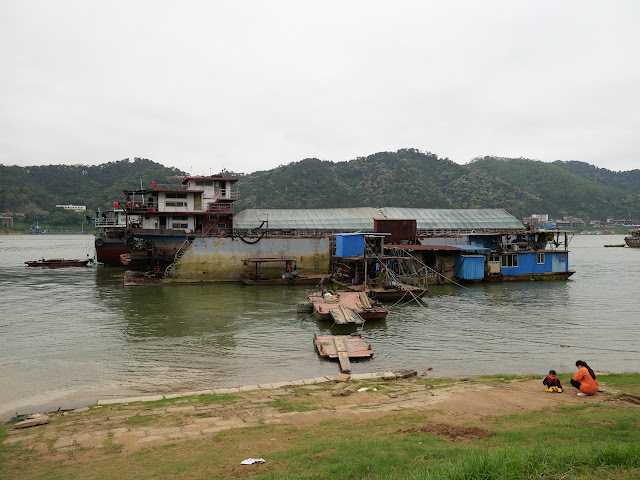 For this post, below are some photos taken on a cloudy and slightly hazy day as I walked around Panlong Lake in a clockwise direction. 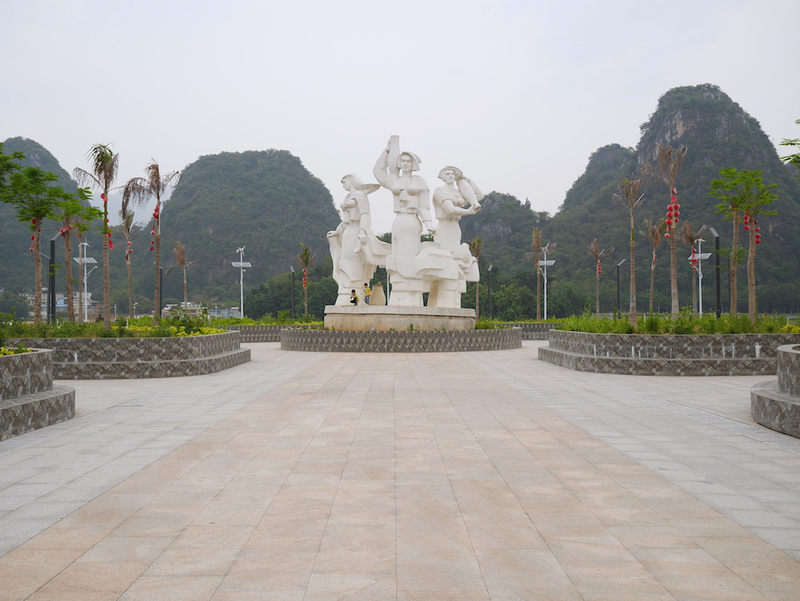 Yes, the sculpture in the last two photos is leaning to one side. 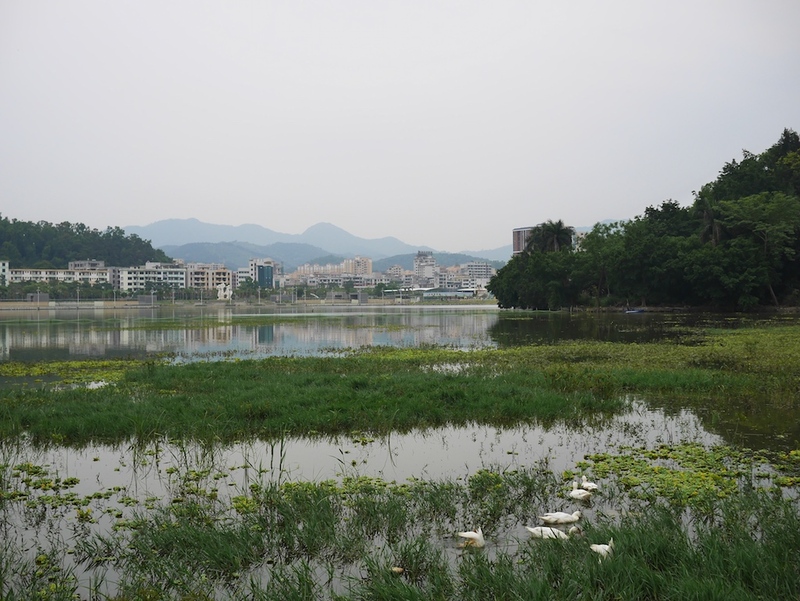 And yes, there are ducks in the lake. 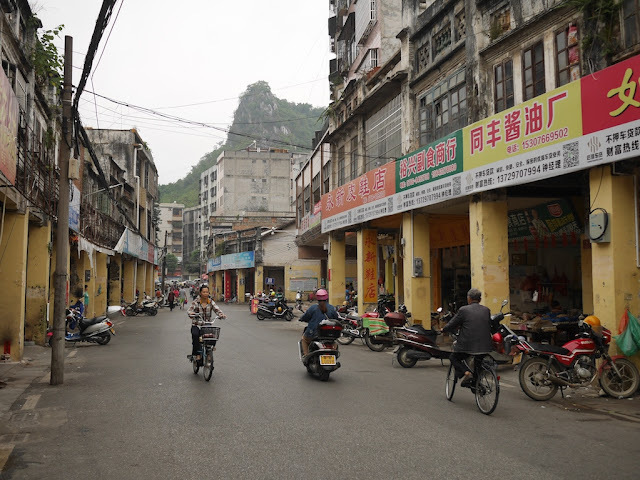 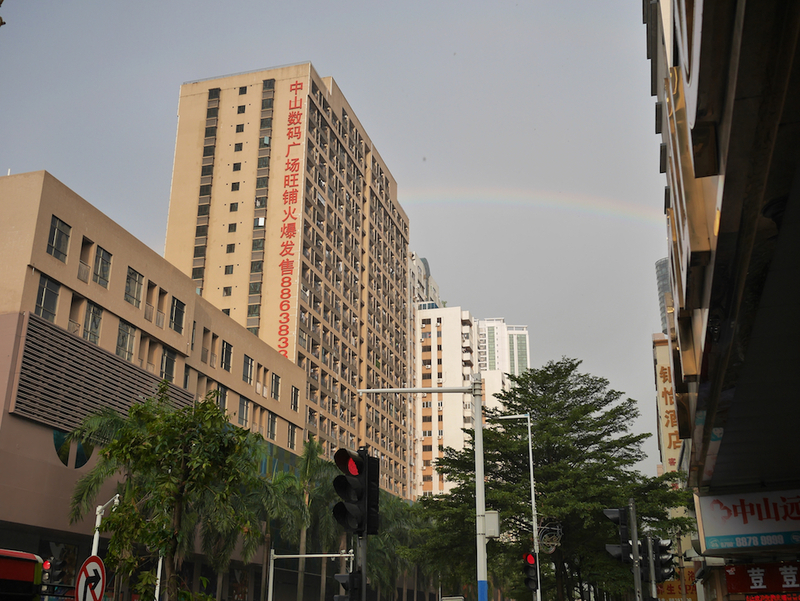 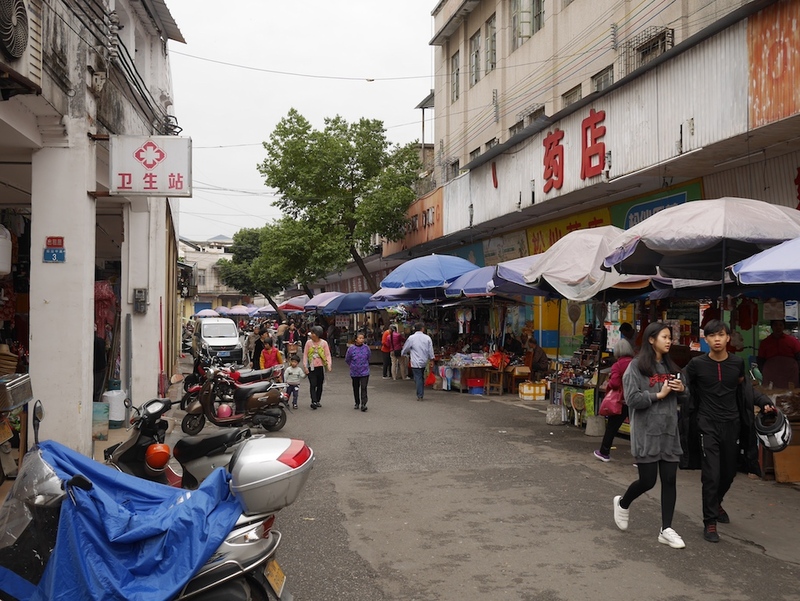 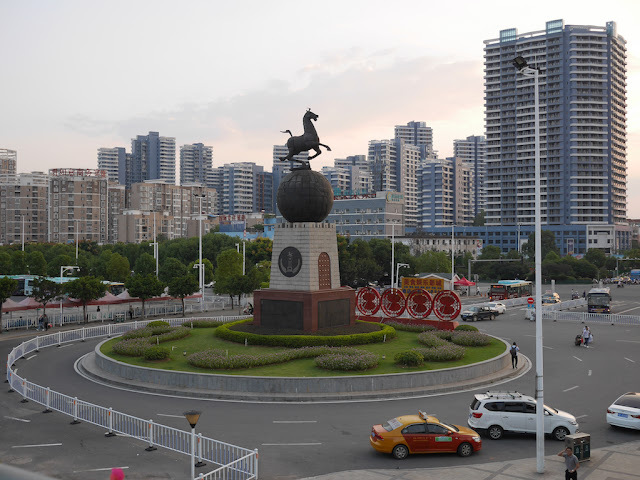 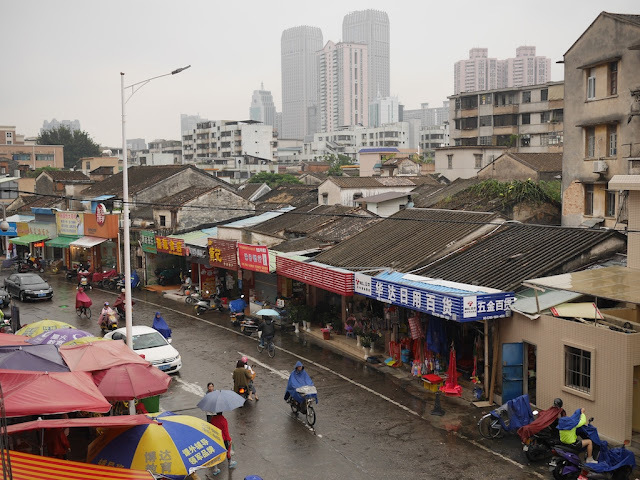 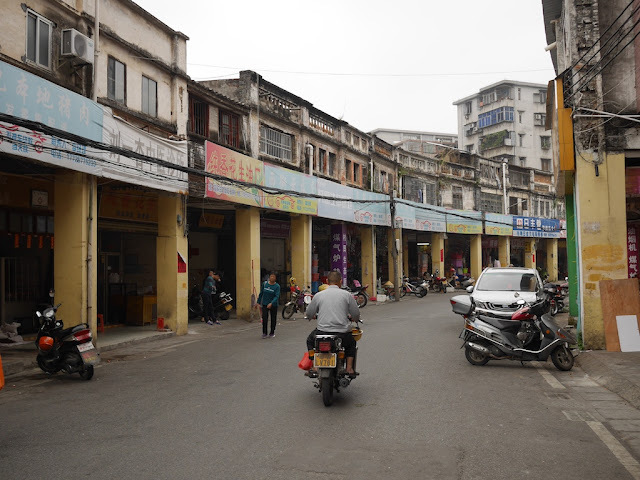 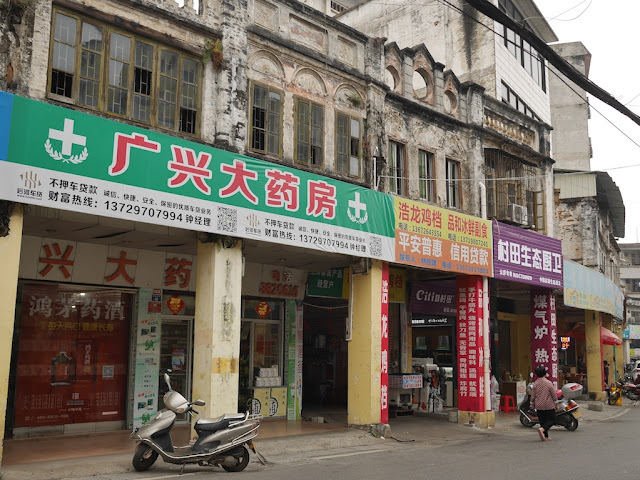 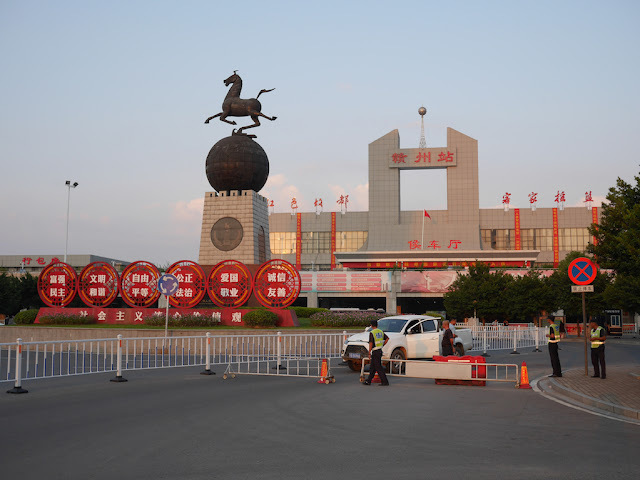 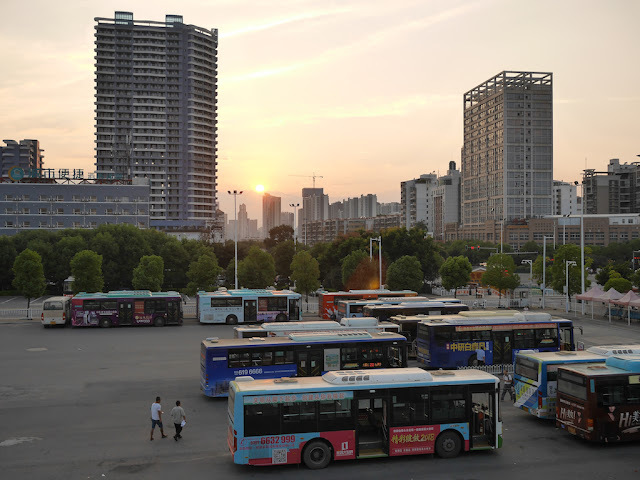 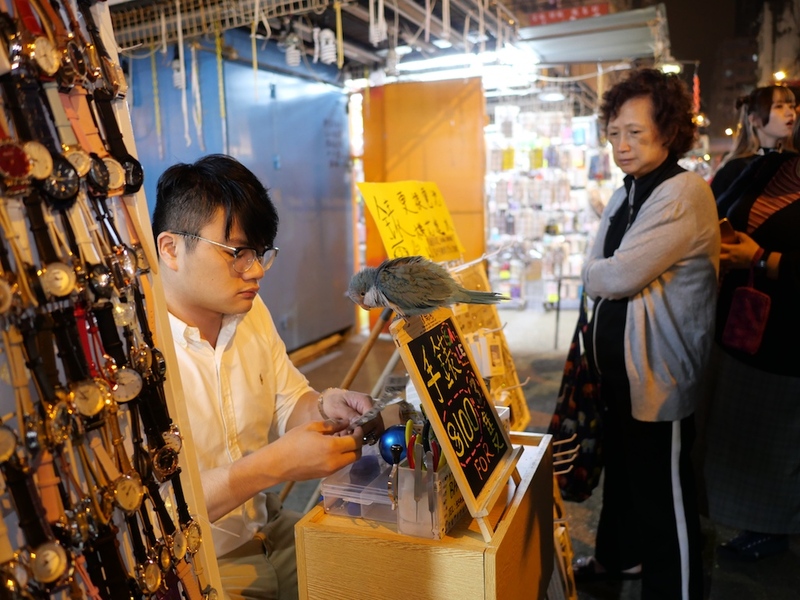 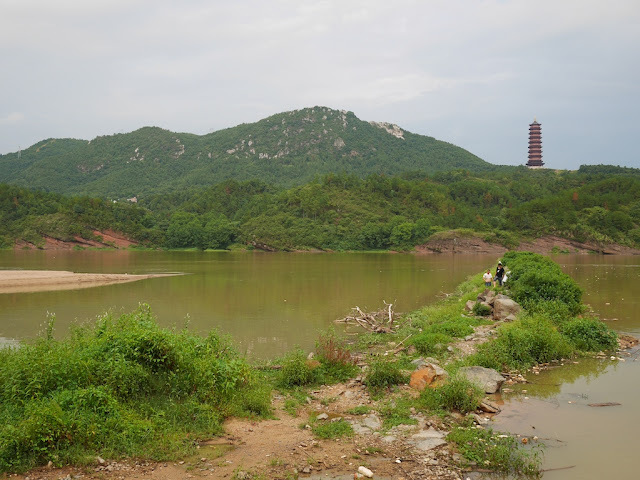 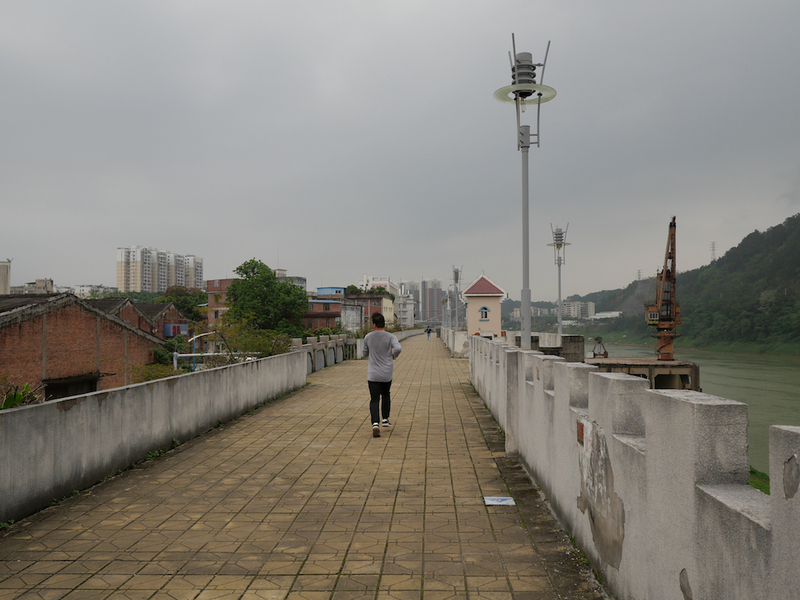 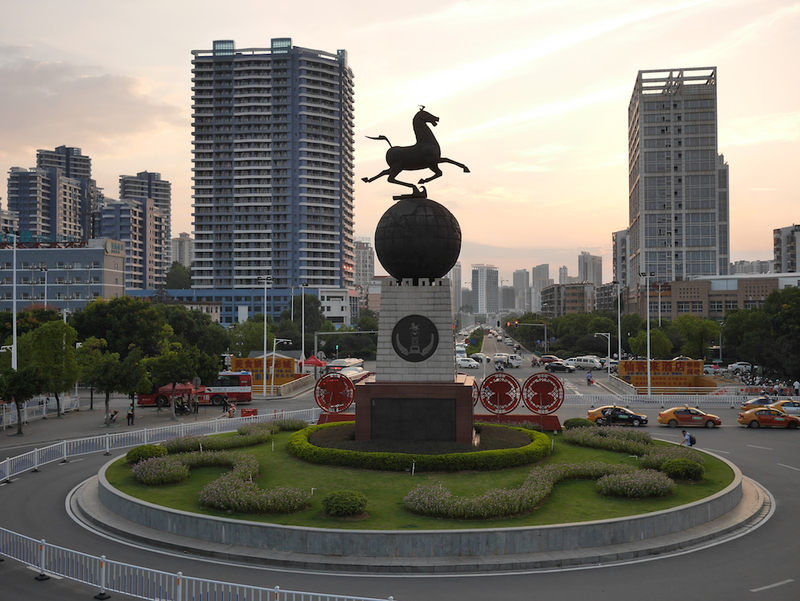 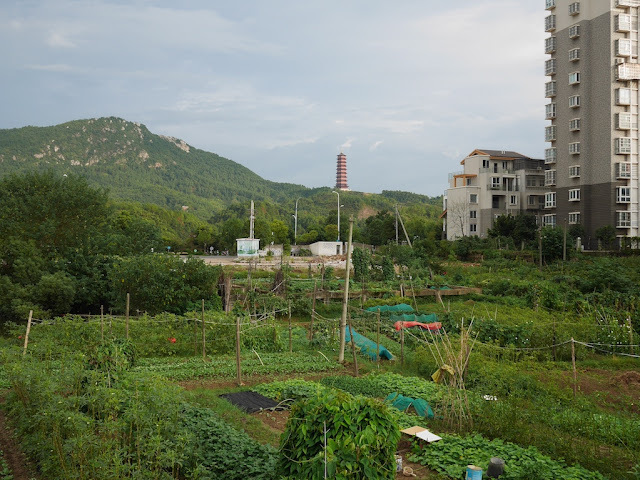 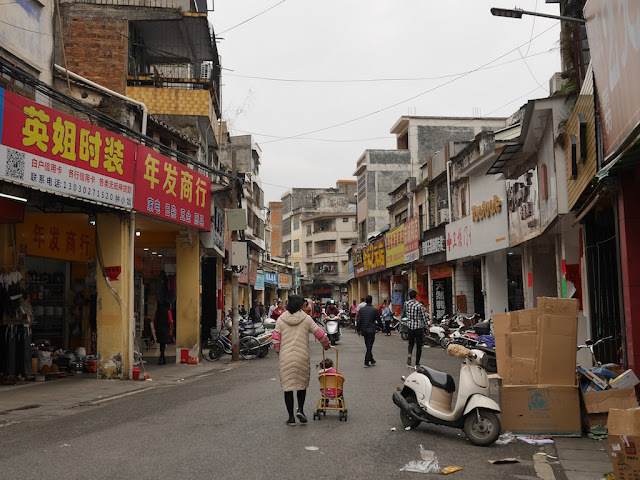 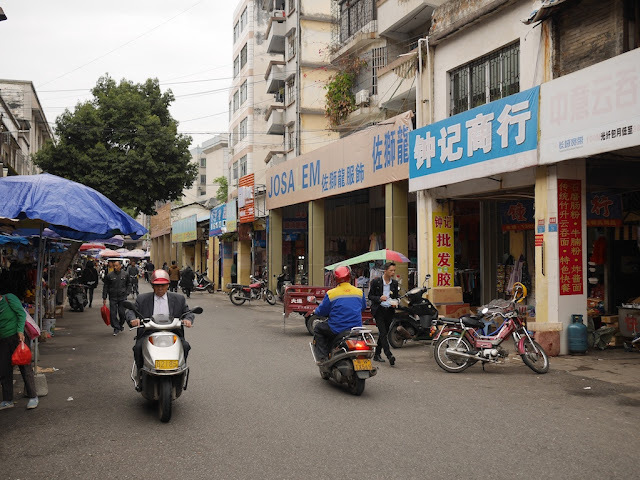 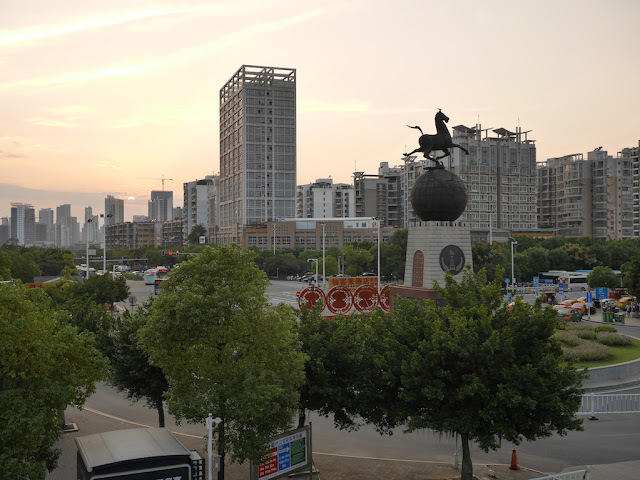 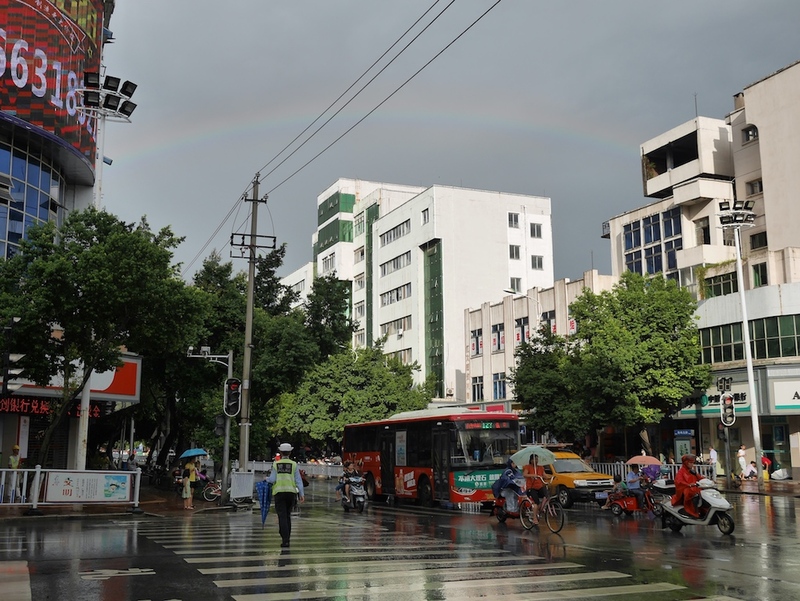 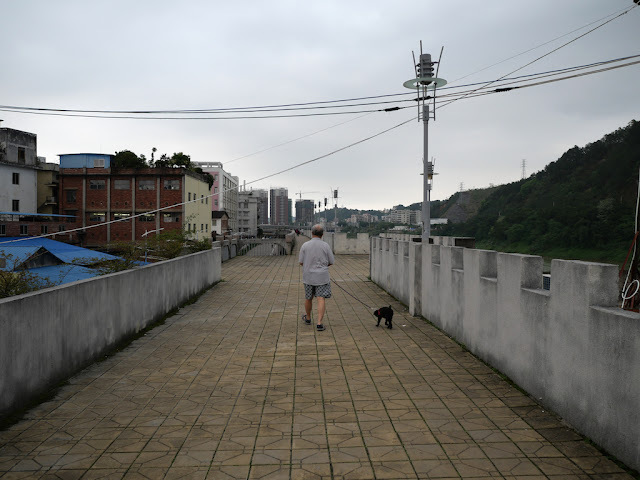 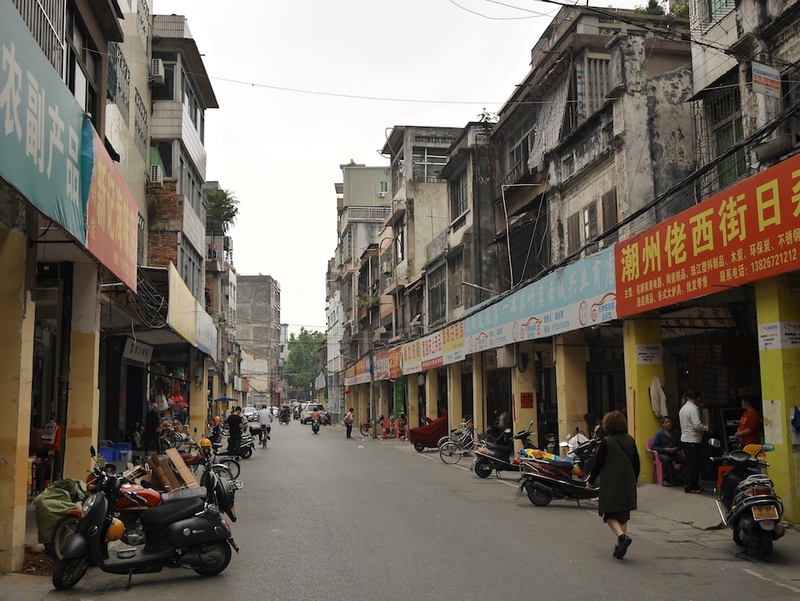 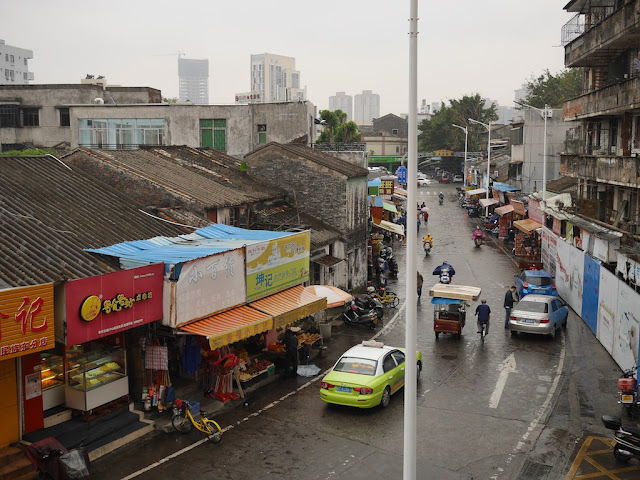 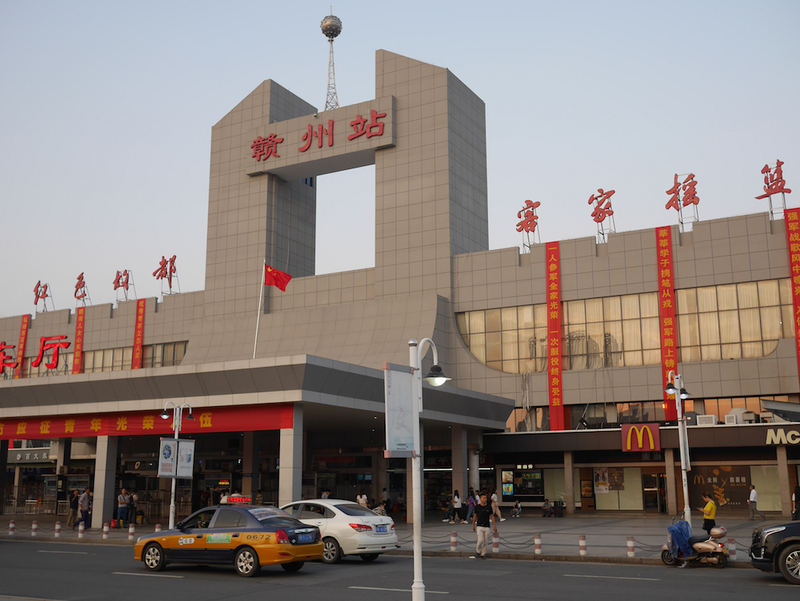 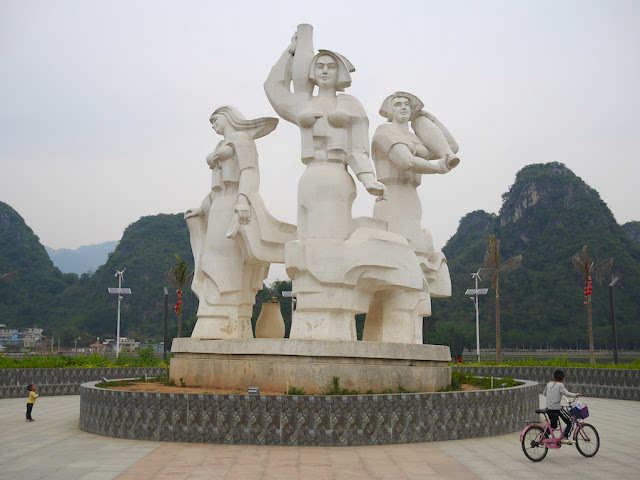 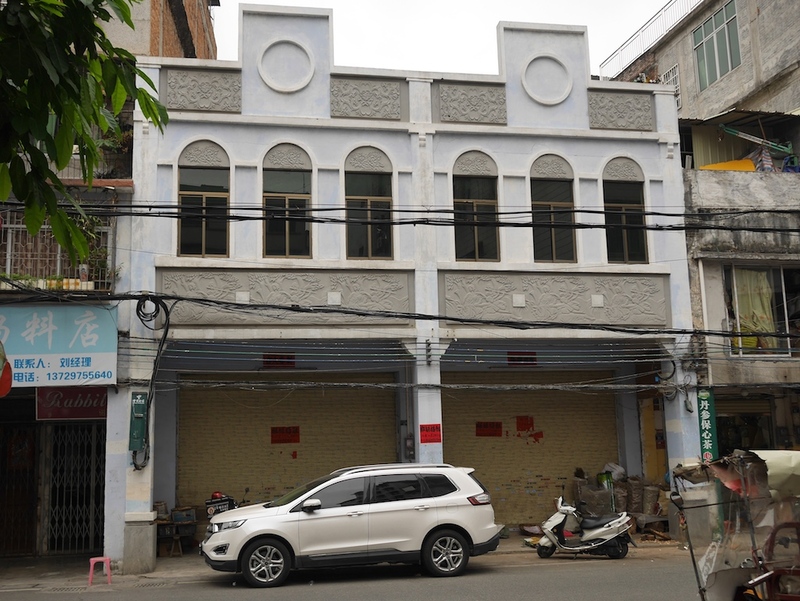 But mostly, I share these to highlight more of the karst topography and some of the nearby urban areas in a city not familiar to most people outside of this region in China.